just you remember that my good fellow! I will. Can I borrow some money? Is that Aussie for “no”? now bugger orf I’m trying to shut down my computer ffs! Allergic to grass? Do you have to wear a surgical mask when you play in the yard? i do not mow the lawn and cannot on grass and right now i am a sneezy, wheezy chick! It could be worse. 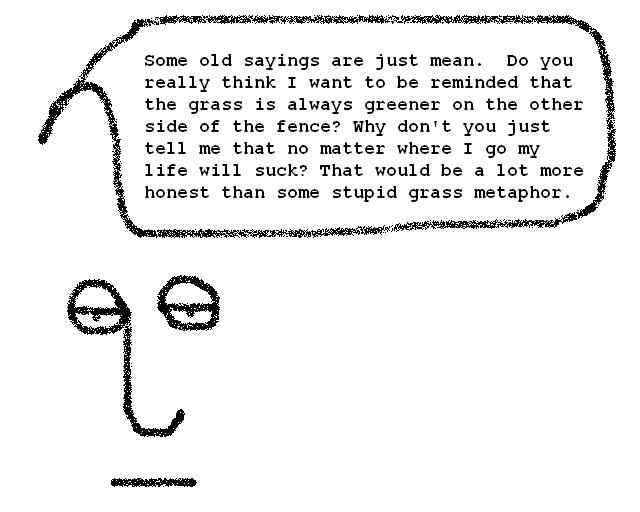 At least you’re not allergic to talking about grass.